Reach Over 22,000 Weekly Subscribers! The eBulletin is sent out every Tuesday and reaches over 22,000 recipients in the USA and the UK. There is also a WEEKEND EDITION sent out on Friday mornings to everyone who did not open it by Thursday evening. Industry professionals, health and wellness clinicians, treatment centers, doctors, corporate CEO’s, MFT’s, admission coordinators, press and members of the recovery community. Tuesday’s edition becomes the home page on the website, with over 5,000 views each week — and growing. Each edition is then archived where your ad will remain permanently active. Each week the Addiction/Recovery eBulletin® is posted and shared thousands of times on FACEBOOK, TWITTER, LINKEDIN and INSTAGRAM. 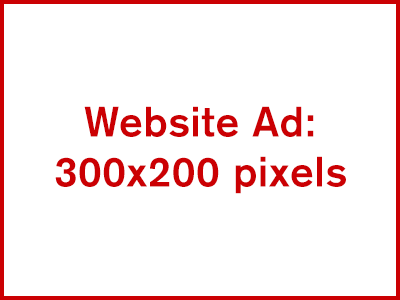 BUY ONE AD – GET ONE FREE! Stories you can share with friends and colleagues. 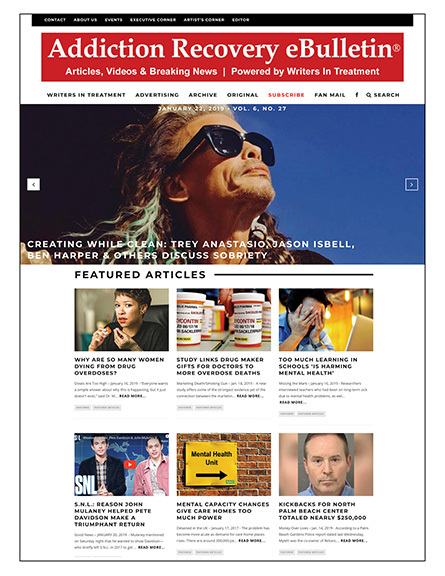 The weekly Addiction/Recovery eBulletin® newsletter features news and articles from the previous week related to the world of addiction and recovery.